The aim of the International Association for Applied Econometrics is to advance the education of the public in the subject of econometrics and its applications to a variety of fields in economics, by advancing and supporting research in that field, and disseminating the results of such useful research to the public. The IAAE is partially funded by generous donations from John Wiley and Sons, Inc., publishers of the Journal of Applied Econometrics. The University of Macedonia is a modern, extrovert and dynamic institution with ten undergraduate academic departments covering fields in the broader areas of Economics, Business and Social Policy. Tziolas Publications SA is a rapidly growing and leading-edge book publisher in Greece, primarily focusing on publishing academic books in the field of sciences. Frontier Economics is an economics consultancy that applies economics to markets, organizations and policies. Frontier has experience and expertise in a large range of services, including cost modelling and pricing, competition, finance, statistical modelling, game theory, market research, and implementing reform agendas. Frontier Economics helps companies with their biggest challenges – market strategies, regulatory reviews, competition inquiries, and helps governments design innovative policies and regulatory systems. Frontier (Australia) is based in Melbourne and Sydney. Frontier (Europe) operates from offices in London, Brussels, Cologne, Madrid and Dublin. 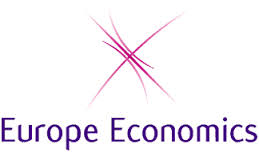 Europe Economics is a leading economics consultancy which specialises in economic regulation, competition policy and the application of economics and econometrics to public and business policy issues. Monash Business School is a dynamic and progressive academy. We engage in the highest quality research and education to have a positive impact on a changing world. We boast the largest concentration of econometricians and statisticians in a single department in Australia. This means we have significant levels of expertise in most areas of econometrics and business statistics, including actuarial studies and big data analytics. The Discipline of Business Analytics at the University of Sydney is engaged in all aspects of analysing data, making forecasts and building models to assist in management decisions. The discipline possesses research strengths in the areas of Financial Time Series and Quantitative Risk Management; Business and Economic Forecasting; Predictive Analytics; Econometrics; Bayesian Statistics; computationally intensive estimation; Supply Chain Management and Scheduling Theory.  The Australian Institute of Macedonian Studies is a non-profit organization that promotes the Macedonian Hellenic culture, tradition and heritage. Thessaloniki Association “The White Tower” is a non-profit organization that was established in 1961 in Melbourne in order to promote events and cultural activities related to the history of Thessaloniki. The most significant achievement of the Association to date has been to bring the City of Thessaloniki and the City of Melbourne together to form a Sister-City relationship since 19th March 1984. Grand Hotel Palace is a 5-star hotel located next to the heart of the city, and one of the most comprehensive conference centres in Thessaloniki. 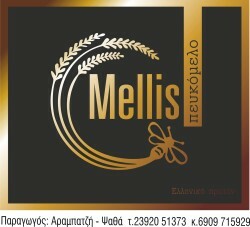 ION is one of the biggest chocolate manufacturers in Greece and the only one with a complete cocoa and chocolate production process. We are a family business that produces its own honey. Our company has grown from strength to strength over recent years and pride itself in product development and distribution. There are further sponsorship opportunities available and a variety of sponsorship levels. Please contact info@iaae2015.org for more information.